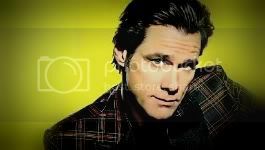 According to Pajiba.com, Jim Carrey has been offered a role in BURT WONDERSTONE scripted by John Francis Daley (Freaks And Geeks, Bones) and Jonathan Goldstein, the duo behind the comedy HORRIBLE BOSSES. The website also said that Sacha Baron Cohen (Borat, Bruno), who’s going to be busy with Martin Scorsese‘s 3D adaptation, HUGO CABRET, is also interested in this project but it’s unclear whether he wants to play the lead role Burt or the partner. No director is attached to BURT WONDERSTONE yet but New Line expects production to start in January. It's good to know that Jim is still being offered some new projects as much Leo DiCaprio is. Let's hope he makes as much of them as possible! But anyway ... ON TOPIC ... The 'Freaks/Geeks' guy is behind it and his other upcoming movie has got a OK-cast. (Aniston, Farrell, Bateman, Spacey, etc) It's directed by Seth Rogen. So I think there's a possibility this new project kinda has the same tone and/or humor. The story sounds ok so far. Waiting for more news. Sounds a little cliche, but if Jim does decide to do it, hopefully it'll be gold! I wonder if his name is connected to his personality. I love it when a movie uses wierd and wonderful name. Damn, seems that Steve Carell is in for this project. That would be great if it was next to Jim Carrey, but he's taking the role that was offered to Jim. This sounded way more interesting than the other projects, btw. That's a real bummer. I like Steve Carell, but this sounds perfect for Jim. Looks like Jim might be in the movie after all. Jim Carrey is negotiating to star opposite Steve Carell? How about that! My two fave american comedians in one movie. If he does do the film, i predict a Massive box office hit for them both. Do we know if it is still the Horrible Bosses guys' script that they are going with? I just bought that movie yesterday and it really is hilarious. Well, untill Jim confirms, all they really are, is just rumors. Still, I'm looking forward to see him again soon and honestly I don't care which movie or with whom (although I do like Steve). Only after seeing it I can relate to a character or story, but since I love his filmography, I don't think I'll be disappointed.